Moniz, Michael. The Cardinal and the Crow. Vancouver, B.C. : Simply Read Books, 2014. Lonely old Crow is constantly mocked for his appearance, especially by young Cardinal. 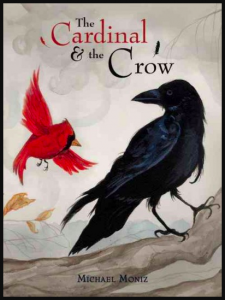 When Cardinal is caught by a cat, though, it is Crow who rescues him through trickery. 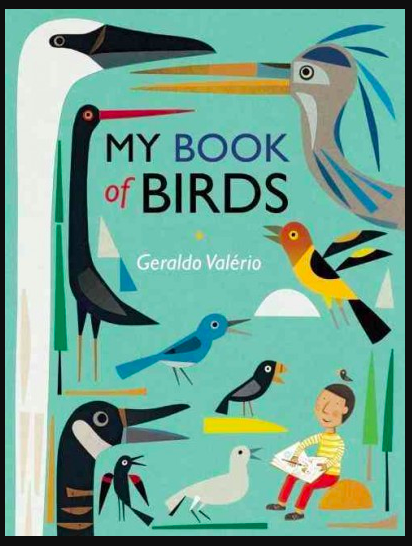 Inspired by an Aesop’s fable, this picture book with gently evocative illustrations will appeal to readers 5 to 14 years old. Yolen, Jane. 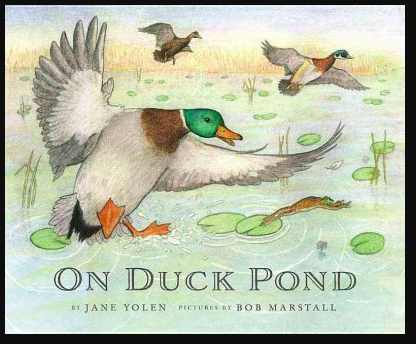 On Duck Pond. Apex, N.C.: The Cornell Lab Publishing Group, 2017. Valerio, Geraldo. My Book of Birds. Toronto: Groundwood/House of Anansi Press, 2016. Spirin, Gennady. Martha. New York: Philomel Books, 2005. This is the story of an injured bird who was rescued by a young boy on a cold snowy day. She could have died but instead she was given a home. And one day she was ready to fly again. The beautiful flow of the sentences in this story and the exquisite watercolour illustrations create a sense of timelessness. A sense that the story happened in the past but is still living on in the memories of the people who rescued the bird that could not fly. 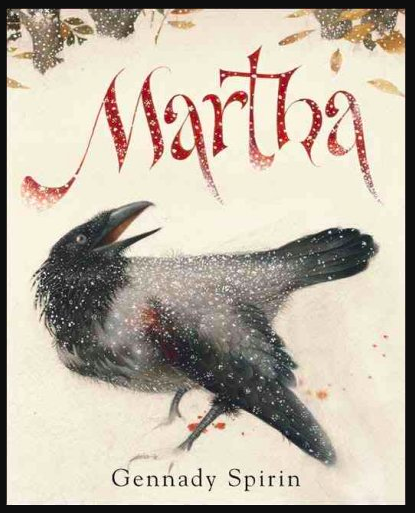 This true story set in Moscow tells how Martha the crow became part of the author’s family for a brief time long ago. Highly recommended as a book to buy for animal lovers of all ages.